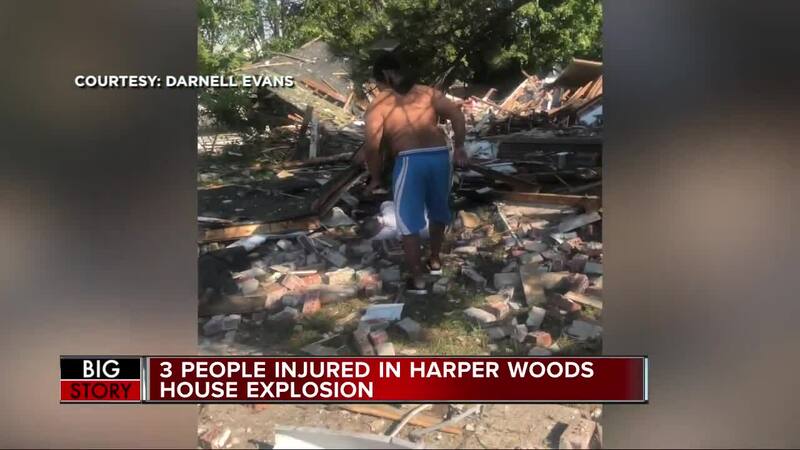 DETROIT — A home in Harper Woods, a suburban city of Detroit, Michigan exploded on Friday, and three people were injured. A 33-year-old woman was in critical condition after the incident happened, according to the Harper Woods Department of Public Safety. 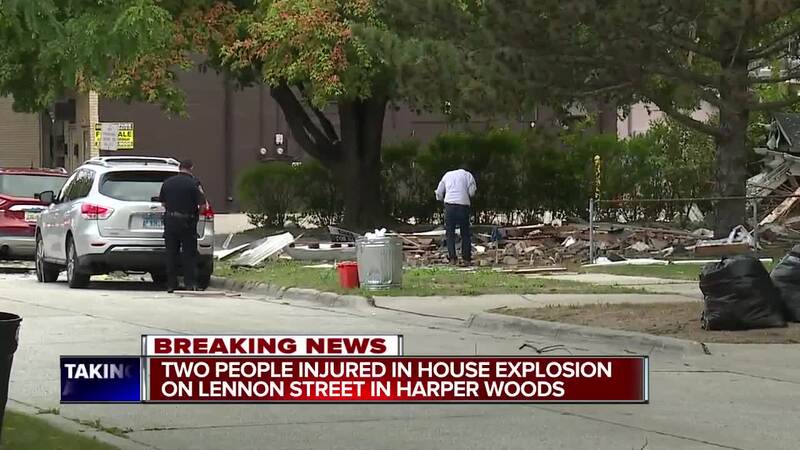 A 66-year-old man is still listed in critical condition, and a third victim, a 36-year-old man who lives across the street from the home that exploded, was also injured but was later released from the hospital after his injuries were treated. DTE Energy released an additional statement regarding their investigation into the home explosion. 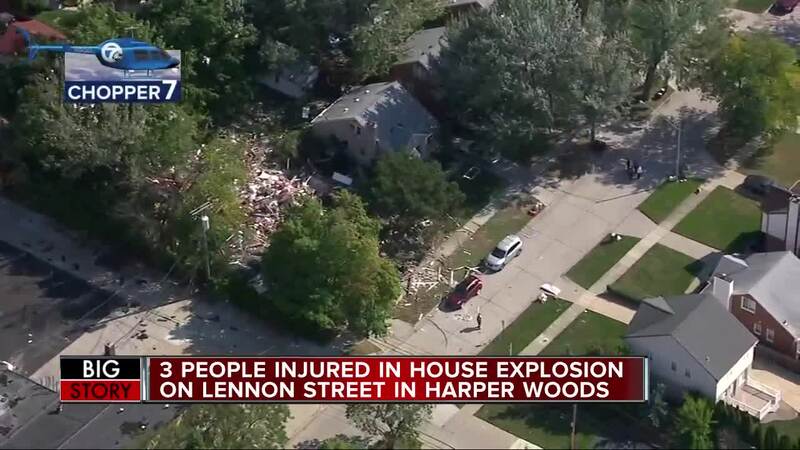 According to the statement, there were no leak reports from the neighborhood prior to the explosion. After the incident, DTE investigators surveyed the area and found that there were no leaks. DTE pressure tested the existing gas lines and found no leaks. Both the main and service lines were confirmed to be operating properly and within specified pressure. State police and local authorities have taken control of the scene and are investigating. We are supporting the authorities' ongoing investigation into the incident. Again, our immediate thoughts go out to those who were injured today. Customer Safety is our #1 priority at DTE. We maintain the safety and integrity of our system of underground natural gas pipes through a robust program of inspections, maintenance and upgrades. 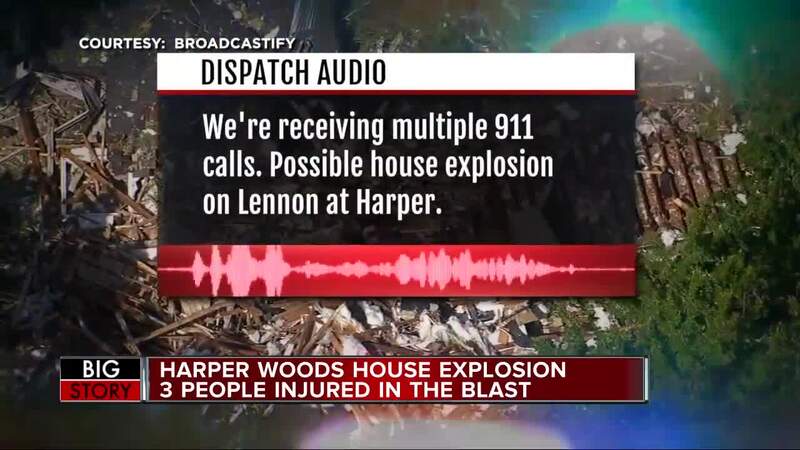 According to the Harper Woods Department of Public Safety, the victims of the explosion were entering the home for an appraisal.